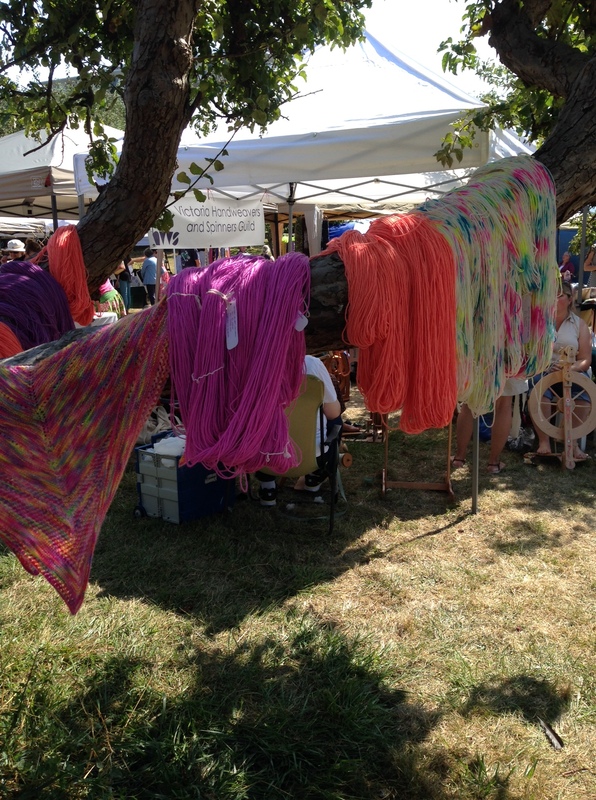 RainCityKnits yarn in an apple tree. In the orchard at St. Ann’s Academy, Victoria, BC. Apologies for the radio silence! Things have been progressing behind the scenes over the summer. 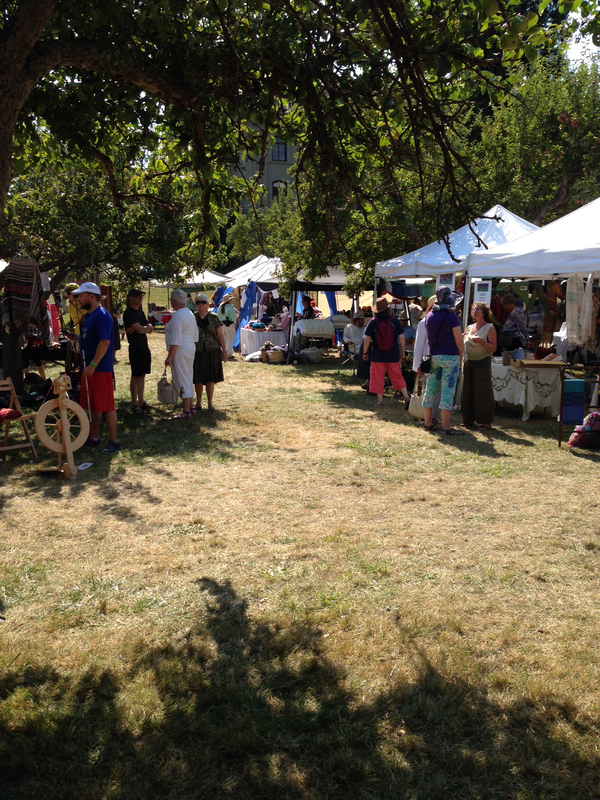 One fun summer thing that I did this year was make a day trip out to Victoria for Fibrations 2014. Pacific Coach makes it quite easy to take the bus from downtown Vancouver on BC Ferries to downtown Victoria, so I was up for the adventure. 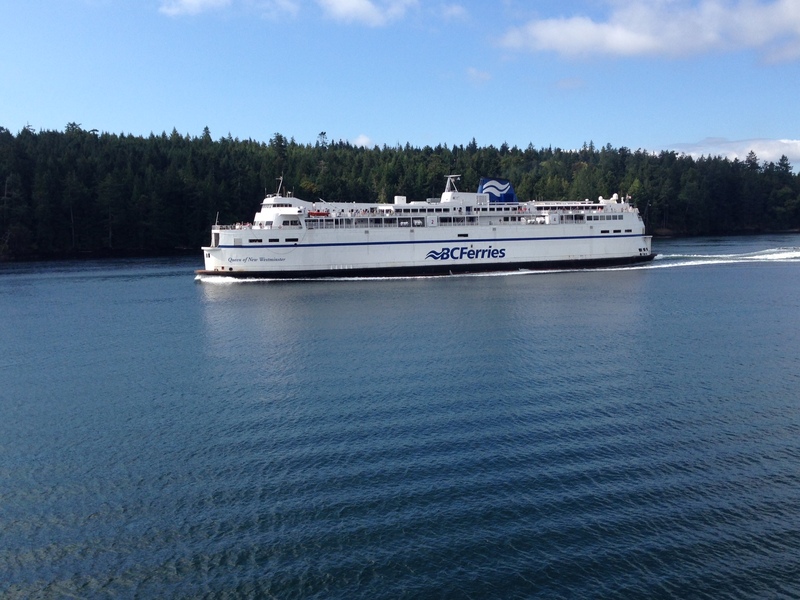 BC ferry among the Gulf Islands. I wasn’t a vendor but my sister was! 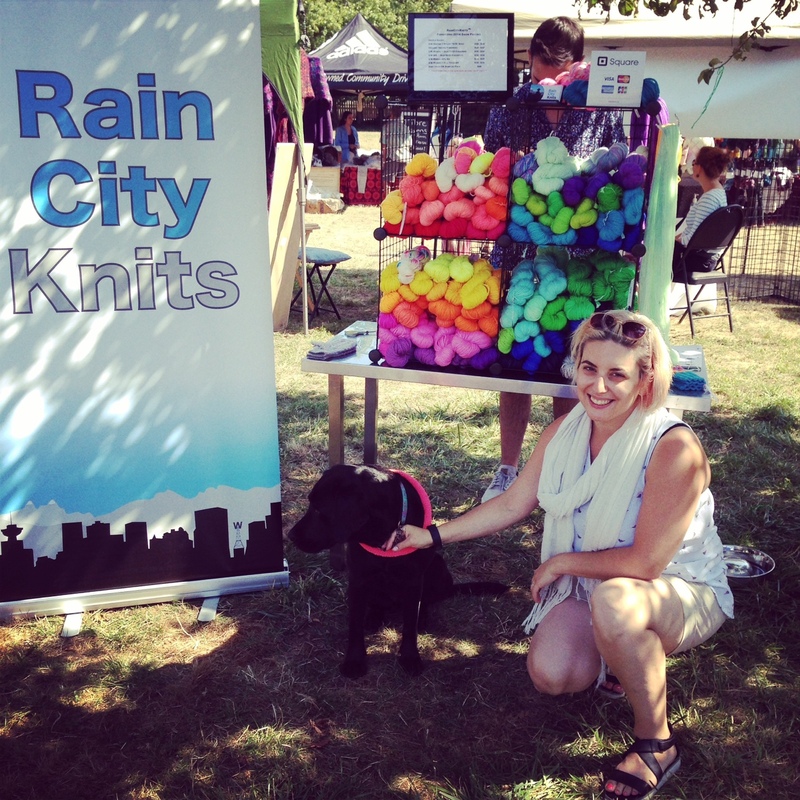 I hung out at the RainCityKnits booth under the shade of the apple trees on the warm summer’s day. I just love the bright yarn! RainCityKnits booth with Krista and Pammy the Lab and Edd working in the background. I had a great time checking out all the vendors and came away with a few treasures. Jane Richmond was there and I came away with a sweater pattern. MisoCraftyKnits was there with her adorable project bags. 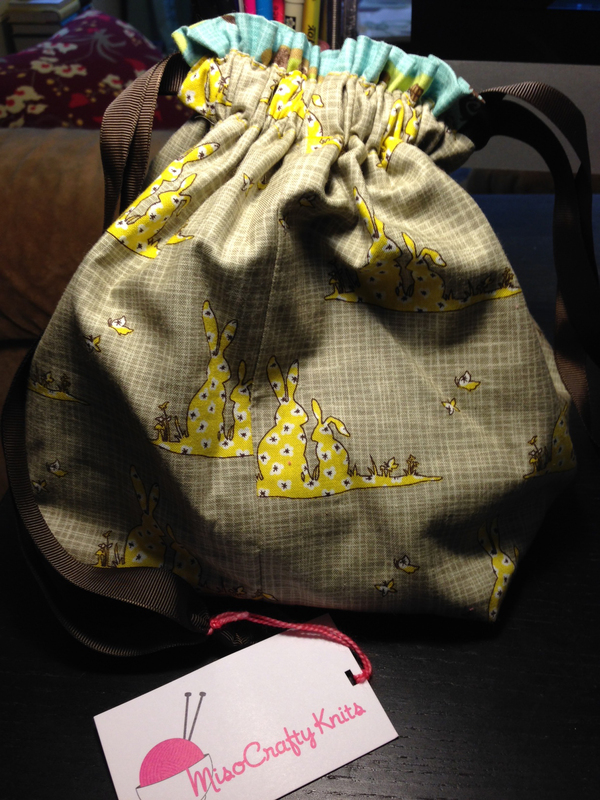 I have large box bag that she made but I wanted a small drawstring style project bag. It even had bunnies on it! Project bag by Miso Crafty Knits. I saw amazing felted creatures by a very talented artist whose name escapes me unfortunately. 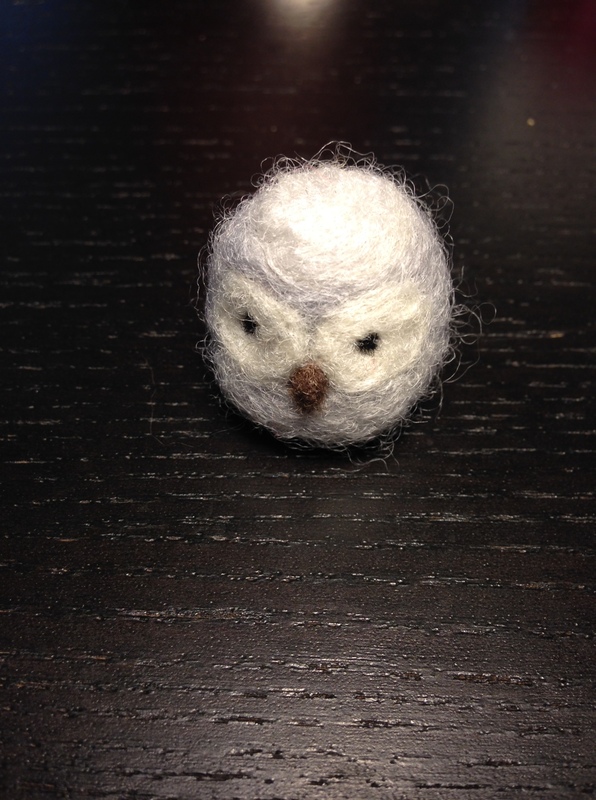 Here is a little owl that accompanied me home and now sits on my desk. 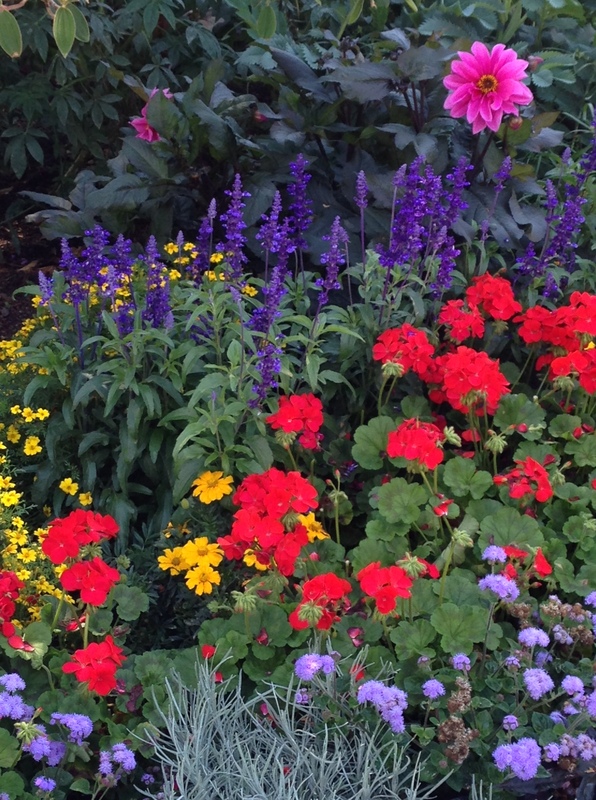 Downtown Victoria had gardens in full bloom near the bus depot and a couple blocks away from St. Ann’s Academy where Fibrations was held. Yes, an orchard on the edge of downtown! This is only 5 minutes away from where I used to live. I miss Victoria. 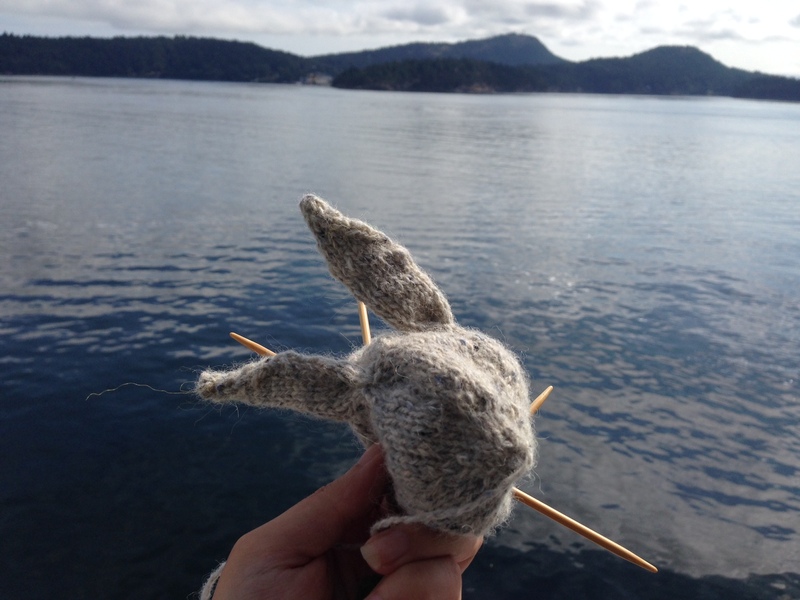 And with all that traveling, there was plenty of time to work on knitting projects. Although I don’t actually knit in buses and cars because it makes me motion sick, unfortunately. But the ferry was fair game! I got to work on a fun project… I bet you can guess what I’m making. It’s a new pattern out this fall in time for Knit City. 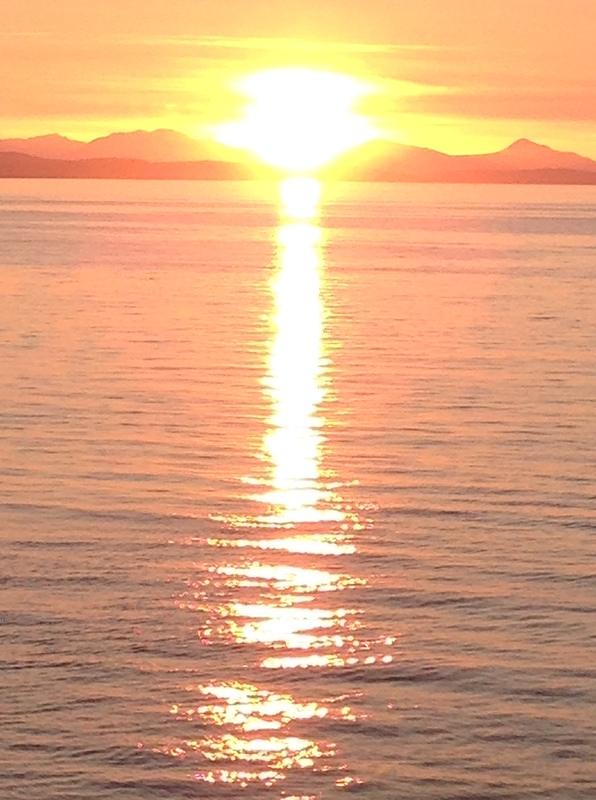 One of my favourite summer things is riding on the ferry at sunset. And it didn’t disappoint! What a great way to wrap up my trip.